UNICEF South Asia places the 1,000-day window of opportunity – from conception to age two years – at the center of its programming. We support the scale up of evidence-based nutrition-specific interventions and nutrition-sensitive development. We work with regional bodies, national and sub-national governments, development partners, research and academic institutions, national and international NGOs, civil society organizations, and the media to reduce the number of stunted children aged 0-59 months by 12 million between 2014 and 2017, with emphasis on greater equity for greater impact. 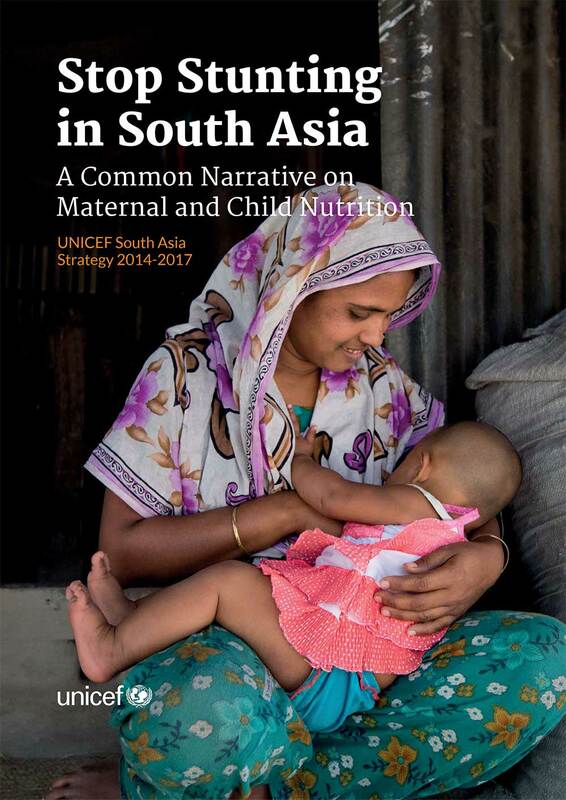 (3) create a common narrative on maternal and child nutrition and the reduction of child stunting across UNICEF programmes in South Asia.